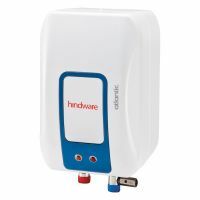 The Hindware Atlantic Instant Water Heater 1 Ltrs Capacity. Its premium grade construction features corrosion resistant grade of SS and rust proof ABS body. The multi-purpose valve and the effective thermostat maintain the temperature for longer durations at 6.5 bars pressure. 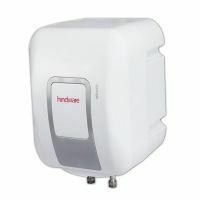 With superior safety features, this heater is suitable for rugged usage. 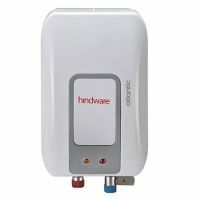 To Recieve updates and possible rewards for Hindware Atlantic 1 Ltrs (White/ Grey) please sign in. To Recieve updates and possible rewards for Geyser/Water Heater please sign in.